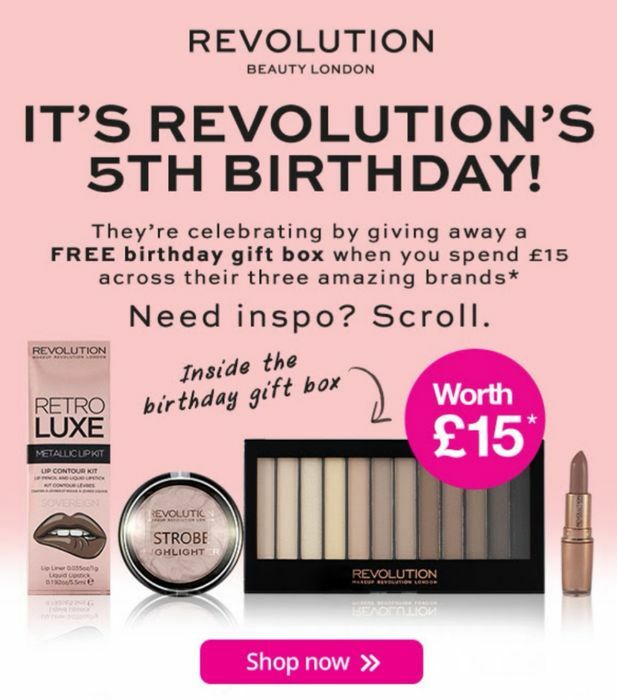 Spend £15 on Revolution products in Superdrugs and get a free birthday gift box! I have used their pallettes really recommend! What do you think of this Googleusercontent deal? That's a great bargain! Thank you so much for sharing, will definitely be keeping this in mind and showing my friends lol. I typically bought the make up before this was on if I attempt to buy more I will have to hide it really well! Best time to stock up it's what I did and I have just tried out another palette today I absolutely love Revolution! Your very welcome she will love it!